Novocure and US Oncology Research announced in a joint press release on Wednesday that they will collaborate on Panova-3, a Phase 3 trial. Collaboration research agreements can go a long way to expedite clinical trials which, in turn, could reduce research and development costs, or share them. 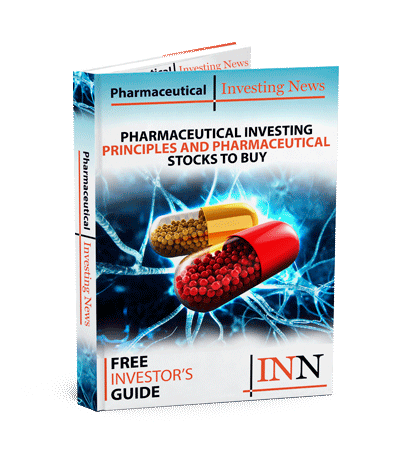 Novocure (NASDAQ:NVCR) and US Oncology Research said in a joint press release on Wednesday (August 15) a collaboration for Panova-3, a Phase 3 trial. The trial will test Tumor Treating Fields (TTF) combined with nab-paclitaxel and gemcitabine in patients with unresectable locally advanced pancreatic cancer. Daniel D. Von Hoff, principal investigator for Panova-3 and chief scientific officer for US Oncology Research, said he believes TTF “has the potential to improve survival,” in pancreatic cancer, which is one of the most aggressive forms and was the third leading cause of cancer deaths in the US last year. The TTF works by using electric fields, tuned to specific frequencies to disrupt cell division, inhibit tumor growth and cause affected cancer cells to die. For the collaboration, the US Oncology Network will open 10 clinical trial sites enrolling patients in Novocure’s Panova-3 trial. The trial is a randomized, open-label trial which will include 556 patients with unresectable locally advanced pancreatic cancer. Patients in the experimental group will undergo the TTF delivery system tuned to 150 kHz for at least 18 hours a day until the disease progresses. The primary endpoint for the trial is overall survival, while the secondary endpoints include: progression free survival, local progression free survival, objective response rate, one-year survival rate, quality of life, pain-free survival, resectability rate and toxicity. Chief science officer at Novocure Dr. Eilon Kirson believes this collaboration will help accelerate enrollment of patients in the trial. In addition Von Hoff’s comments on pancreatic cancer, the five-year survival rate for patients is about eight percent. More than 330,000 people die from the disease every year worldwide. The American Cancer Society estimated that 53,000 people in the US were diagnosed while an estimated 43,000 people succumbed from the disease in 2017. The US Oncology Research draws from a network of experienced investigators and clinical staff which specialize in oncology clinical trials, which is supported by the US Oncology Network and McKesson Specialty Health. The US Oncology Research serves about 60 research sites and more than 150 locations managing around 300 clinical trials. The organization has played a role in helping develop over 75 US Food and Drug Administration (FDA)-approved cancer therapies. As per its name, the US Oncology Network brings together physicians to build a community of shared expertise for patients to advance local cancer care and better patient outcomes. Novocures is also an oncology focused company, which is developing the TTF. The company’s product is already FDA-approved for recurrent and newly diagnosed glioblastoma. Aside from pancreatic cancer, the therapy is also in Phase 3 development for brain metastasis and non-small cell lung cancer, with other indications in Phase 2 and preclinical development. Over the trading period on Wednesday, Novocure’s share price decreased 0.81 percent to US$36.55. TipRanks suggests the company may see an increase in share price to a high of US$46 and a low of $44 based on recent analyst recommendations. Investors interested in Novocure and this developing research collaboration can see more news on the company’s site along with updates on other news from its pipeline.